As a nail technician, your livelihood depends upon having full mobility in your fingers, so even a minor injury can become a major disruption to work productivity. 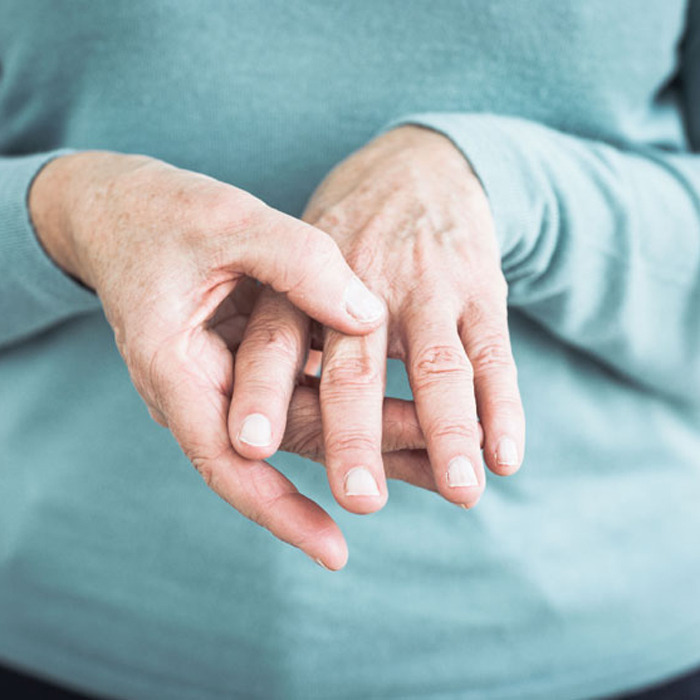 If you find yourself with a finger or thumb that’s painful, snaps, locks, or doesn’t bend or move properly, you may have a condition called trigger finger. Here’s what you need to know about the troublesome ailment and how to treat it. Also known as stenosing tenosynovitis, trigger finger is a common ailment related to the tendons in the hands or digits. Trigger pain is usually felt in the palm just before the point where the finger or thumb attaches to the rest of the hand, and a snapping or locking sensation is typically felt in the first joint of the finger or thumb—all of which can make it challenging to perform even the simplest of tasks as a nail technician. People with trigger finger may also develop a lump at the base of the finger on the palm side of the hand. The way tendons work underneath the skin can be likened to a line attached to a fishing rod, bending or flexing as the finger (the “line”) is moved, explains Rachel S. Rohde, MD, associate professor of orthopaedic surgery at Oakland University William Beaumont School of Medicine and a spokesperson for the American Academy of Orthopaedic Surgeons (AAOS) based in Michigan. The tendons glide underneath soft tissue straps called pulleys. “We think that trigger finger is caused by thickening or hardening of one of the pulleys or swelling of the tendons, which makes it harder for the tendons to glide,” says Rohde. “They get stuck and this can lead to any or all of the above symptoms. Applying ice or heat to the affected area can provide some relief from trigger finger symptoms, and anti-inflammatory medications, such as ibuprofen, aspirin or naproxen, can help soothe tendon swelling. In addition, simple exercises can help alleviate discomfort. (See “Finger Fitness” below) Rohde also recommends using wrist and hand splints at night. “They keep the joint straight where the finger meets the hand,” she says. She also recommends avoiding or minimizing gripping activities with the hand. “That’s hard to do if you’re a nail technician though,” she admits. a physician if the finger seems slightly bent, won’t bend all the way, or gets stuck and won’t open at all, she advises. The most common treatment is relatively straightforward. “Cortisone injections work for most people, and perhaps 50 percent of the time for people with diabetes,” says Rohde. “If the injection doesn’t work, or works temporarily but the symptoms return, a second injection or a surgical procedure that releases (i.e., cuts) that problematic pulley is the next treatment.” Even surgery, however, is not an effective treatment in some cases, she cautions. If you’re experiencing discomfort due to trigger finger, try these simple exercises, recommended by healthline.com, that can be done anywhere, require only a few objects and can be completed in 10 to 15 minutes. If the exercises are performed daily, trigger finger sufferers can expect to see some improvement within a few weeks to six months, but if there’s no change or symptoms worsen, it’s best to consult a doctor. For more information and additional exercises, visit healthline.com/health/fitness-exercise/trigger-finger-exercises. 1. Lay your hand out flat on a table or solid surface. 2. Use your other hand to hold the affected finger. 3. Slowly lift the finger and keep the rest of your fingers flat. 4. Lift and stretch the finger as high as possible without straining. 5. Hold the position for a few seconds and release it back down. 1. Bring the tips of your fingers and thumb together. 2. Place an elastic band around all of your fingers. 3. Move your fingers away from your thumb so that the band becomes tight. 4. Extend your fingers and thumb away and close to each other 10 times. 1. Hold a small object (like a rubber ball) in your hand. 2. Squeeze it tightly for a few seconds. 3. Release, opening your fingers wide. Doctors first wrote about trigger finger in a French medical journal article in 1850. Trigger finger typically occurs in a person’s dominant hand. Trigger finger tends to develop between the ages of 40 and 60. People suffering from trigger finger tend to hear an audible “snap” or “pop” when bending the affected finger. In about 25% of all trigger finger cases, the symptoms disappear without treatment.